What Size Unit Do I Need? Neighborhood Self Storage also offers other products and services that make them a very convenient resource for my home staging business. 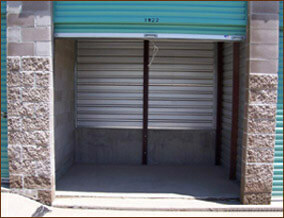 They are reasonably priced as compared to other storage facilities with MUCH better driving access to each. I have recommended them to many of my clients and will continue to do so! Reserve Metro Denver Storage Facilities In Aurora, Centennial, Englewood, Parker And Elizabeth, Colorado – Get Your 1st Month Free! Thank you for choosing Neighborhood Self Storage. By completing this form you are requesting to reserve a unit at either the Aurora self-storage,Centennial self-storage,Elizabeth/Parker self storage & Boat & RV storage, Englewood Boat & RV storage. Please note, your reservation is not guaranteed until a member of our storage team confirms availability. We will be contacting you shortly. Your information is always kept completely private. We proudly offer Colorado residents self-storage, boat, vehicle & RV storage services. Our Denver area mini-storage facilities are conveniently located in Aurora and Centennial with the Boat & RV storage in Englewood, just off I-25 and south of Arapahoe Rd.